A great shirt with a tight fit that is perfect for athletic performance. 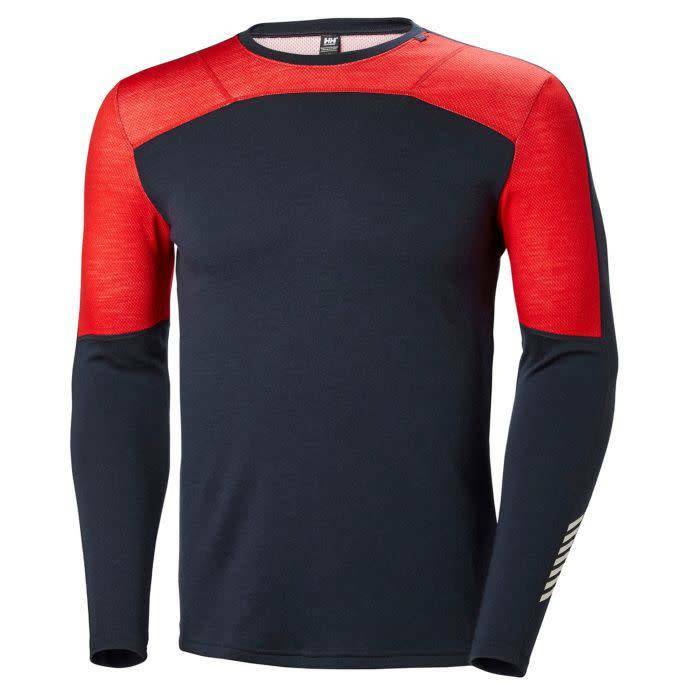 A unique 2-in-1 base layer with 100% merino wool! 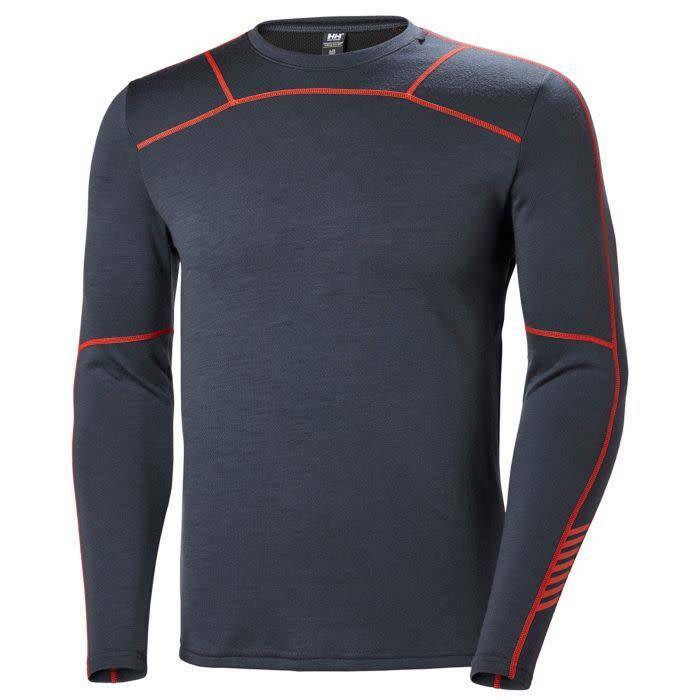 HH LIFA MERINO is the warmest base layer, perfect for any type of activity in cold weather. A unique 2-in-1 base layer with 100% merino wool combined with Lifa® Stay Warm Technology in a 2 layer construction. HH LIFA MERINO delivers all the great benefits of merino wool fibers plus the unique properties of technical Lifa® fibers. Founded in Norway in 1877, Helly Hansen continues to develop professional-grade gear that helps people stay and feel alive. Through insights drawn from living and working in the world’s harshest environments, the company has developed a long list of first-to-market innovations, including the first supple waterproof fabrics almost 140 years ago. Other breakthroughs include the first fleece fabrics in the 1960s, the first technical base layers in the 1970s, made with Lifa® Stay Dry Technology, and today’s award winning and patented H2Flow® temperature regulating system. Helly Hansen is a leader in technical sailing and performance ski apparel, as well as premium workwear. Its ski uniforms are worn and trusted by more than 50,000 professionals and can be found on Olympians, National Teams, and at more than 200 ski resorts and mountain guiding operations around the world.